Khapre noted that more shipments were now being sent directly from Indian exporters, rather than having to go through middlemen. Despite Russia’s rise, the European Union remains Indian exporter’s preferred destination due to the reliable returns their produce generally receives there. However, its quality parameters are the most stringent, with increasing number of countries demanding grapes from registered orchards, according to horticulture and phyto-sanitory officer in Maharashtra Govind Hande. 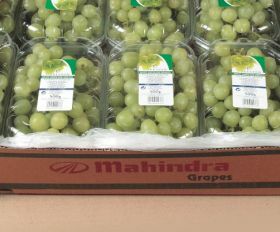 Meanwhile, there are concerns that a grape oversupply may also cause prices in India’s domestic market to crash in March next year.